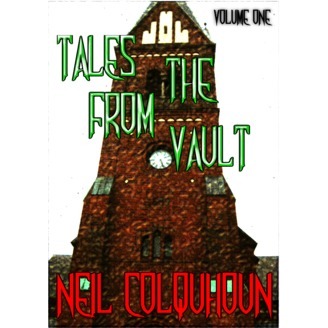 In 'Tales from the Vault', Scottish author Neil Colquhoun brings you a collection of 10 short stories that are linked by blood. In 'Access Denied' a man who is continually being targeted by a gang of local kids finally takes the law into his own hands with disastrous consequences. ‘Blind’ will make you look twice at some of the people in your neighbourhood, especially sweet little old ladies. ‘The Debt Collector’ is a dark tale in which one man realises that all debts have to be collected regardless of the consequences. A character in 'Angel’ could really be what he thinks he is, or be something else completely. ‘Machine’ is a science-fiction story about a computer that will change the world. In ‘Genesis’, two men, The Boss and Kid A, are searching for a famous character who has floated away in space. ‘The Muse’ is a tale about a writer who has lost his inspiration and is looking for something to kick-start his creative process again. ‘Patient Number Two (Coma)’ is about wishing to live longer, not wanting to die and the dangers of a heart transplant. 'Afraid of Sunlight' has a stranger and a man who has memories of a dark period in his life. 'Love Will Tear Us Apart' is a tale of love with no boundaries. Be prepared to listen to things a bit weird, sometimes horrific, a little strange... but all have the same hybrid horror/sci-fi/fantasy mix that Neil Colquhoun does best. 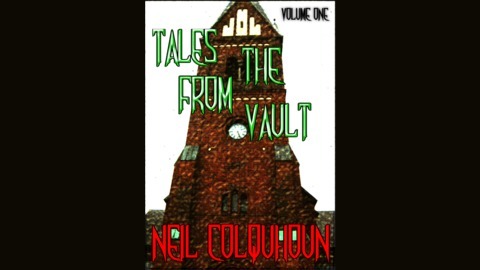 This is the last story in Volume One of the ‘Tales From The Vault’ series. ‘Love Will Tear Us Apart’ was originally published in eFiction magazine in August 2010. It's a short tale but no less creepy... and true love knows no boundaries!